Get ready for a special treat because International Bacon Day is coming this Saturday, September 1! It is a special unofficial holiday for all people and is considered one of the most popular holidays in the United States. It is the day when bacon lovers unite and celebrate all things bacon! International Bacon Day was started by three students—Alexa Halford, Seth Rittenhouse and Evan Salim from Bedford, Massachusetts—in 2000. They realized that bacon was so good that it deserves to have its own holiday. They organized the first celebration and started doing promotions for the holiday. A couple of years later, the holiday became popular throughout the country. How Can You Celebrate International Bacon Day? That question is actually a no-brainer. Of course, you can celebrate it by eating bacon, lots of it! What you can do is throw a party. You can invite friends and family. You can cook up some delicious treats that include bacon. Try a few dishes where bacon is not usually added. You can even do some experiments by adding bacon in cookies, ice creams, and pastries! Bacon is one of the oldest processed meat. The Chinese were among the first to cook salted pork bellies as early as 1500 BC. 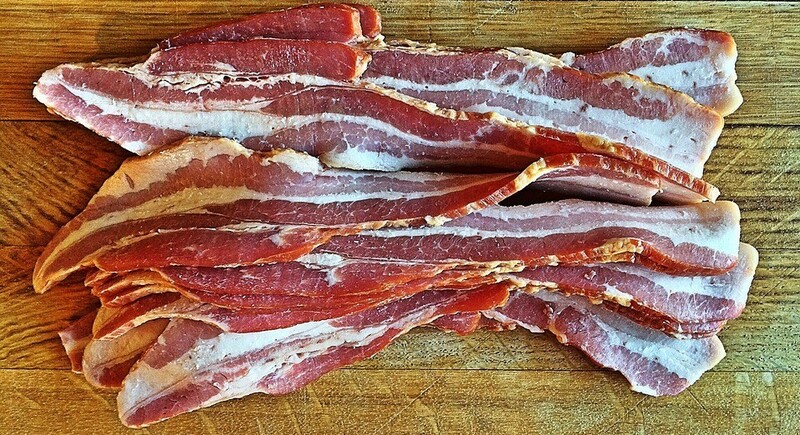 Bacon comes from the Germanic root “-bak,” which means back of the pig. In 1770, the first bacon factory opened in Wiltshire, England. Kevin Bacon has his own bacon sculpture. Bacon is addictive. It has six types of umami, which produces an addictive neurochemical response. Umami is like a super flavor and one of the five main forms of flavor that include bitter, salty, sweet, and sour. Bacon is eaten at breakfast at an average 12 times per person every year. There are more than 1.7 billion pounds of bacon consumed in food service every year in the U.S.
69 percent of all food service operators serve bacon. There is a religion that worships bacon—the United Church of Bacon in Las Vegas, Nevada. The first bacon cologne was a scent by Parisian butcher John Fargginay in 1920. Bacon has choline, a chemical that helps in fetal brain development, meaning bacon is a good food for pregnant women. Bacon has its own holiday—International Bacon Day on the first of September each year. A 250-pound pig will produce about 23 pounds of bacon. 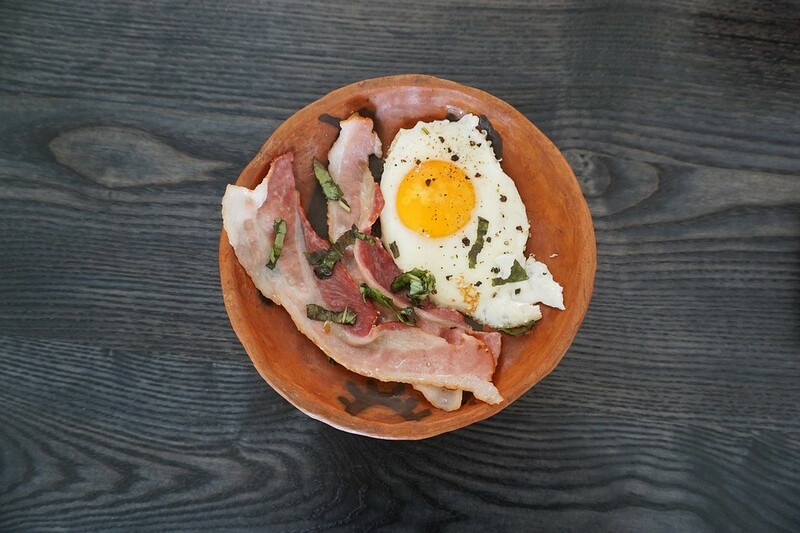 71 percent of the time, bacon and eggs are eaten together. Every year, the average American eats nearly 18 pounds of bacon. Bacon accounts for 19 percent of all pork eaten in the home. More than half of all homes in the U.S., or 53 percent, always have bacon on hand. People 34 years old and higher consume bacon the most. Matt Stonie holds the world record for most bacon eaten. He consumed 182 slices of bacon in five minutes on February 22, 2015, in a bacon-eating contest in Daytona, Florida. The popularity of bacon in the United States shows just how much it is liked by many of us for its flavor. Eating it satisfies and brings happiness to many people. On that note, you can be like bacon to the disadvantaged people in your community when you bring them satisfaction and happiness with a vehicle donation to us at Goodwill Car Donations. On International Bacon Day, why not give away your old and unwanted vehicles to us for the benefit of the underprivileged people in your area? These are the men and women living among you who are saddled with disabilities, lack of skills and education, poverty, joblessness, and other personal hindrances that prevent them from accessing opportunities for employment and living the good, happy, and abundant American life. We sell all vehicles donated to us through auction and use the proceeds to finance the various community-centered programs of Goodwill nonprofit organizations all over the United States. These nonprofits cater to all disadvantaged individuals, providing them with job training and placement services, mentoring, career development, youth employment, disability benefits support, and other community-building solutions. Their programs are all geared towards giving our less fortunate fellow citizens the chance to regain their dignity by teaching them the right set of skills and knowledge so they can secure decent and stable jobs that will take care of their needs and those of their families. As they become self-reliant and productive workers, they will eventually contribute to the growth and progress of your community and our nation. And you will have a part in all this with your car donation. To know more about Goodwill Car Donations, our donations process, and the benefits you can get from your donations—including maximized tax deductions and free towing services—feel free to call our toll-free 24/7 hotline 866-233-8586. You can also visit our FAQ’s page or send us a message online. This International Bacon Day, enjoy eating America’s favorite cured meat as you extend a helping hand to your less fortunate fellow Americans. Call 866-233-8586 and make your car donation to Goodwill!